Crafts isthe best art magazine that you are looking for. 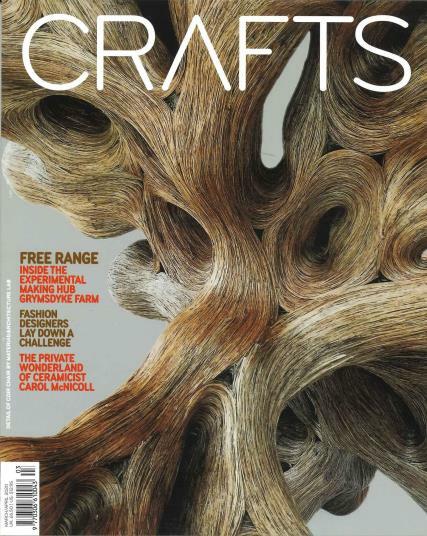 Buy a single copy or subscription to Crafts magazine. Without any doubt, this magazine is the foremost authority on all things artsy! Crafts magazine basically focuses on contemporary art and craft. It provides design ideas for people to hone their creative skills, and execute their art ideas to perfection. It even features some gossip from the world of contemporary art for those who are interested! If you are one of those people that cannot remember when they were hooked to crafts and have been tinkering with all the rubbish in the house and creating wonderful little pieces of art and craft, then this magazine would speak straight to your soul. The magazine is solely devoted to those who cannot look beyond the beauty and joy of working with material to produce the bets in crafts.